502 pages | 80 B/W Illus. Mahmoud Ezzamel, BCom., MCom., Ph.D., is Professor at Cardiff University, UK, and IE Business School, Spain. 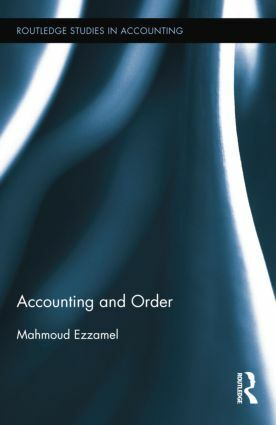 He has published widely in major international journals on various topics including the interface between accounting and social theory, accounting history, accounting regulation, and corporate governance. He has also published 11 books in the areas of management accounting, accounting regulation, and corporate governance.